With the holidays around the corner, many families will be travelling over the next few weeks. 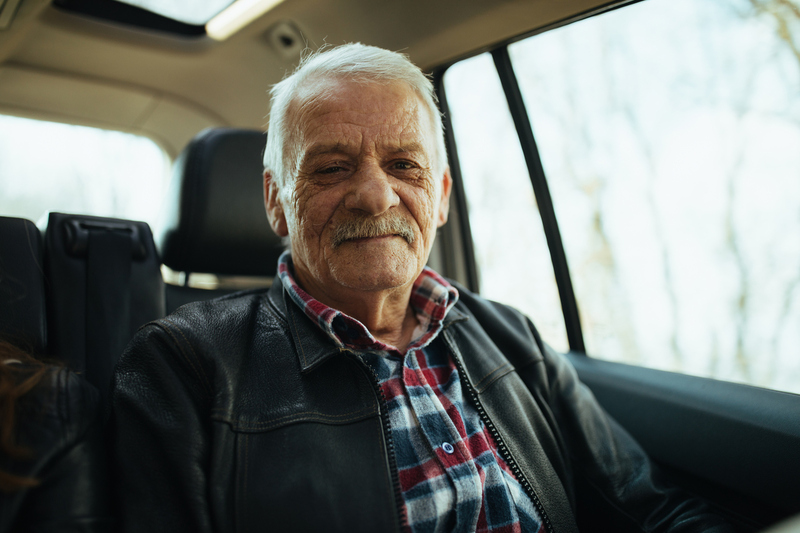 While Christmas travel can be stressful for everyone, there are additional considerations if you’re travelling with someone living with dementia. The success of your trip will depend greatly on how well you plan that trip. Make sure that you focus on keeping it as simple as possible. This may mean that it’s slightly more expensive as you choose direct flights over flights with stopovers, and take plenty of breaks. Make sure you allow plenty of time as well. For example, it may not be a good idea to take an early morning flight if it will mean you’ll already be feeling rushed. Instead, an early afternoon flight will often work best as it will give you plenty of time to get to the airport and settle in before boarding. Of course, this will depend greatly on your loved one’s schedule. They may do better in the mornings or experience restlessness in the evening, so be sure to plan accordingly. People living with dementia can sometimes get confused when in unfamiliar surroundings. A medic alert bracelet can be helpful- providing information in the event that your loved one gets lost. You may also want to write out a card with their name, any important health information, your contact details, and the name and address of the hotel or family member’s house where they’re staying. Put this card in their pocket, wallet, or purse, as a precaution just in case they become lost at any stage. Whether you’re taking a long road trip or flying, it’s important that you have everything you need close by. Some things to remember include ID, passports, extra clothes, medical information, prescriptions, emergency contacts, snacks, and some easy activities that your loved one likes to do (small puzzles, games, and books are great options). People with dementia can often become overwhelmed with lots of noise, rushing around, and people. If you’re flying, you may not be able to give them some quiet time, but try to arrange for this to happen relatively soon after you land. If you can, book a hotel for right after you arrive, so that your loved one has a chance to settle in for the rest of the day and escape the chaos that comes with travel. If you’re staying with friends or family, see if you can arrange for a designated space in the house that your loved one can use whenever they need some time out. While people with dementia may sometimes get overwhelmed by too many choices, they should still be involved with the planning process. Let them know about the trip well in advance, and keep it top-of-mind by discussing it regularly. Create a copy of the itinerary and give it to them so they can see when everything is happening. Remind them about what they can expect when they go through security screening, and avoid leaving them out of conversations. At the same time, don’t overwhelm them with too many questions or decisions at once. One of the best ways to ensure your travels go smoothly is to keep things as familiar as you can. That means sticking as closely to the routine that your loved one has at home as possible. While this can be tricky on days where you’re actually traveling, you can still keep a similar schedule with eating times and bedtimes. Be sure to pack the things your loved one uses every day- like their favourite pyjamas, a special pillow, bedside candle, or anything else that will make them feel secure. Many people with dementia travel successfully every day. By using the above tips, you’ll be able to ensure that your trip goes as smoothly as possible, and you and your loved ones have a lovely time. Would you like to learn about how we can care for your loved one at Scalabrini? Get in touch today.